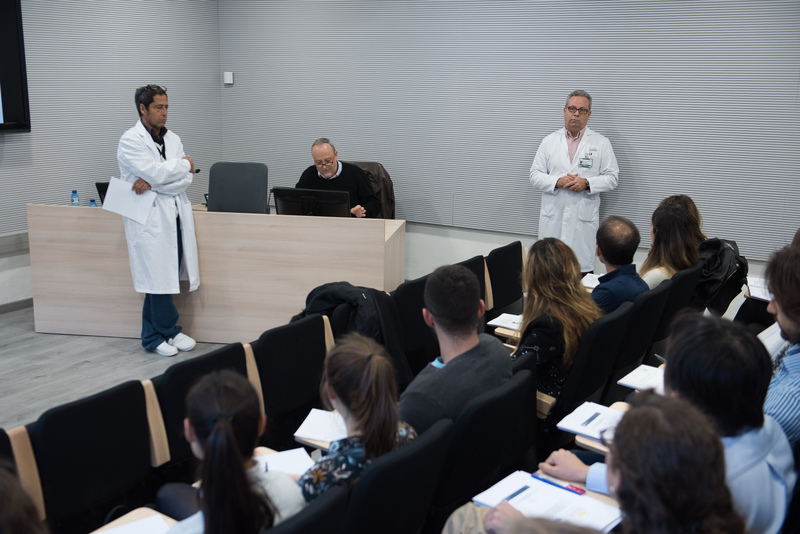 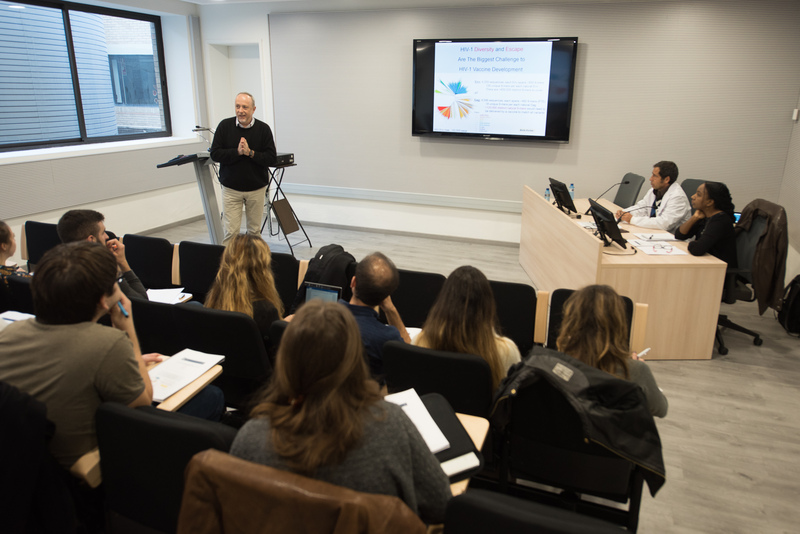 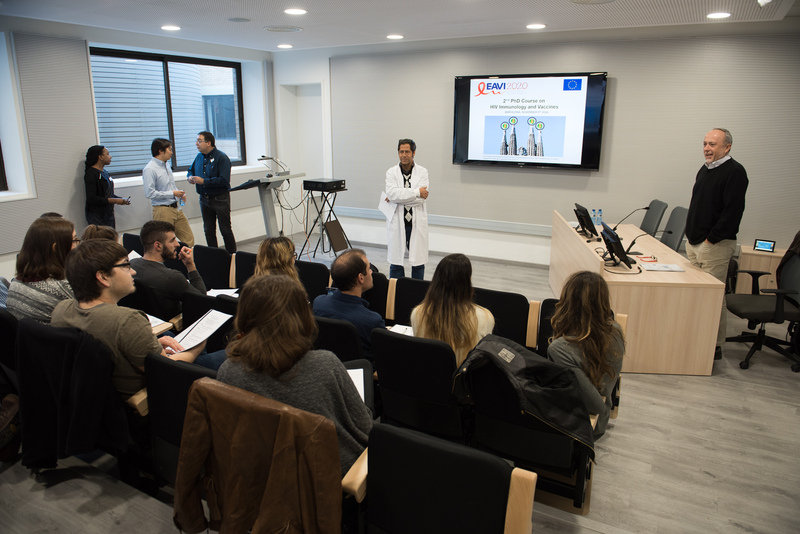 Fundació Clínic per a la Recerca Biomèdica and Karolinska Institutet organised the Second course on HIV immunology and vaccines in Barcelona, 9th November 2016. 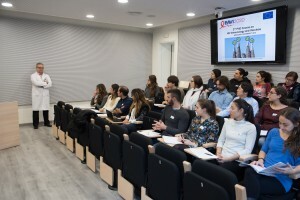 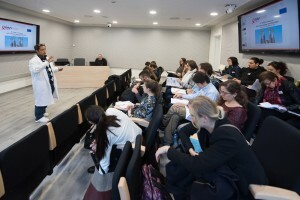 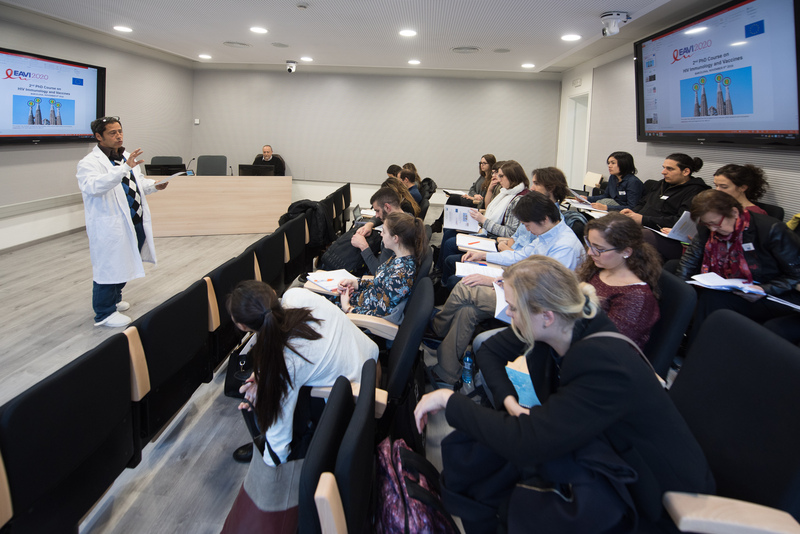 Twenty four students from all over Europe joined this advanced training session on HIV immunology and vaccines for top PhD students across Europe hosted by the School of Medicine, University of Barcelona. EAVI2020 principal investigators lead the presentations and discussions and, as part of the training, PhD students prepared poster presentations, which were displayed for over 70 people at the EAVI2020 first annual meeting on the 10th and 11th November 2016.